Energy flows through us & all living things, Trees, plants, stones, everything is energy. Chakra are energy wheels/centres within each of us spinning at a frequency that vibrates & matches the frequency of the universe, Stress, Illness, Negative thought patterns, contribute to these systems becoming unbalanced, & our bodies out of sync. 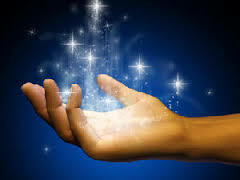 Reiki is based on the life force energy that flows through each of us, that causes us to be alive & it is believed that once we get out of tune with ourselves we get out of tune with our environment, we then become "UN"-well, our bodies become sick & try to tell us this. So allow yourselves to get back in tune with your environment, allow your life force energy to freely flow allowing the Reiki Energy to heal from within. Reiki Healing Southend, Come spend some quality time with yourself, you deserve it. £45 70 Mins With Free consultation. Crystal Healing is good for stress reduction and Relaxation, restoring the body to a full relaxed state to help with the promotion of healing, through Mind Body and Soul. ​Headaches, Backaches, Colds and flu's, Digestive problems, Tension, Stress, and much more, Reiki Can also bring the body back into a state of Oneness & Balance. helping you to re-connect with yourself on a deeper level of healing & Empowering you. Shamanic Reiki tracks and removes any misplaced energies, soul parts, Cutting-ties with situations and past events and healing certain situations from your past.